Check out the trailer for A Tiger’s Tail! 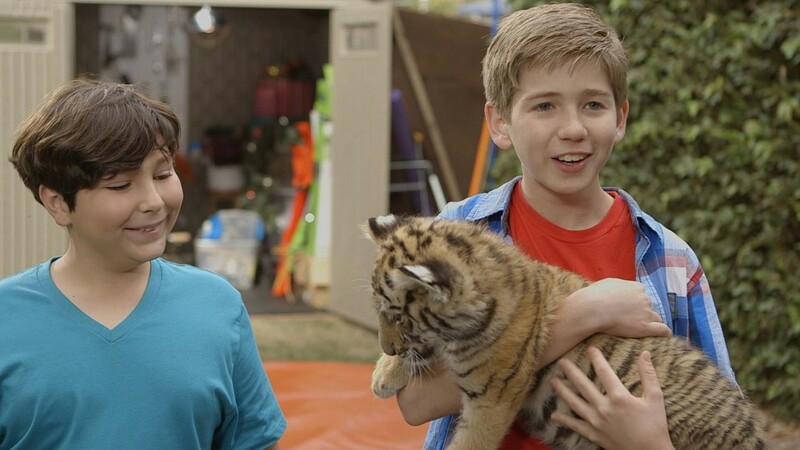 The furry friends from A Tiger’s Tail movie pounce onto DVD and On Demand this July! Out on 28th July, A Tiger’s Tail is all about Billy Connley, his dog, and his best friend, Koby Burrows who go on the adventure of a lifetime! The trio plan to return a baby tiger cub called Luna back to the wild animal park where she belongs after she escapes and follows Billy home – but it’s not as easy to do as they hope! The film follows the adventures they all have together, from running away from bullies, to trying to impress the girl next door – all while attempting to return Luna before she destroys Billy’s parents’ home! Will they manage it? Grab your copy now to find out! Click here to buy the DVD. Available from Asda. A Tiger’s Tail on DVD and On Demand in the UK from July 28, courtesy of Icon Film Distribution. Are you excited to see the movie? Let us know in the comments below.